You’ve paid your registration fee, booked your hotel and are on your way to Assembly. You go to your first meeting and walk out unsure of how you can apply what was spoken about to your career. The next meeting leaves you feeling the same. But the next meeting is different. The speaker gives a short intro but then you get to work with the people next to you and apply what the speaker introduced. This year, attendees of the Public Relations Student Society of America’s National Assembly got the opportunity to participate in the Day-of Competition, sponsored by Edelman. 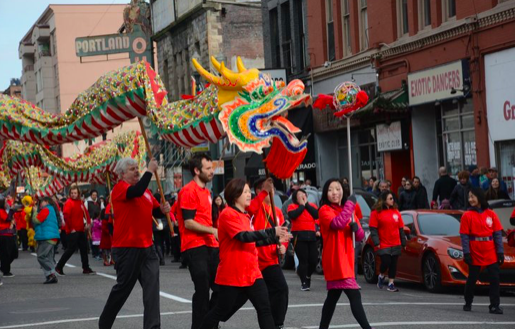 Before arriving in Portland, participants, myself included, received their team assignments and were told to begin researching the Portland Chinatown Museum. Upon arriving in Portland, we gathered in one of the many hotel conference rooms and received a briefing from the Portland Chinatown Museum. The situation we received was three-fold: Daily attendance at the museum was low, around 5-15 attendees per day; memberships were lower than the museum wanted them and the museum wanted to increase millennial attendance. Our assignment was to find a way to meet all these situations head-on with our best ideas. In the hour or so we were given, my team developed a few ideas. We focused mostly on how to appeal to a younger audience while still maintaining a strong sense of Chinese American culture. We wanted to highlight the immigrant experience and traditional Chinese culture. Rice winemaking at the museum and the Portland Saturday Market. The process for creating these ideas was hectic, to say the least. One-hour sounds like a lot of time until you get going with your ideas. You have to decide very soon whether or not you will present a fully fleshed out idea or a lot of really interesting concepts that aren’t wholly formed. Looking toward the future of my career, I think the former is the most important when working on a tight deadline. A client may want many ideas but at the end of the day, one fully formed idea will have a higher success rate than many concepts. The Day-of Competition lasted around two hours total, including the briefing, the time to work with your team and the presentations. The time crunch gave me further insight on how to work in a short time frame where a client is looking for long-term, implementable ideas. Julia Landon is currently a senior at The University of Alabama studying theatre and public relations. 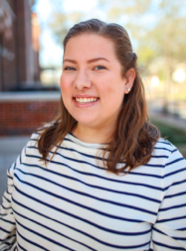 She currently serves as the vice president of marketing for UA PRSSA, as well as an editor/writer for Platform Magazine. When not in the classroom, she loves hanging with her cat, Maddie, and watching Brooklyn Nine-Nine. You can find her on Twitter at @JuliaELandon.